I have something better in store for you. I’m going to challenge how you think about dreams. For example, there are millions of websites and books, as well as people—some who go on television—who will tell you your dream means this, or your dream means that. Now, I hate to put a pin in someone’s dreams interpretations balloon, but these “dream soothsayers” may know nothing at all. And even if they claim to know, they don't. Not even the sleep researchers who study dreams for a living can answer your question, what does my dream mean? And they cannot even begin to know what dreams mean in general. Dreams have to mean something, don’t they? No, they don’t. This could be a big myth. Dreams are one of the great mysteries of life. That doesn’t mean they have to mean something. And here’s another thing to reflect on. One of the greatest thinkers in history was a man named Jiddu Krishnamurti (born 1895, died 1986). I had the privilege of traveling on several occasions to hear him speak, even spending an entire week sitting quietly and listening to him in Ojai, California. This is true. Most people think that everyone dreams, but this is another myth. Many people who have had a stroke or brain tumor have lost the ability to dream. It’s called global cessation of dreaming. Even so, these people still lead productive lives and can have healthy minds. Researchers have also discovered there are people who don’t dream and they have not suffered brain injuries. So you now know that dreams are not necessary for physical or psychological health. We live in a world of dreamers and non-dreamers. ...but rather, to understand the totality of your consciousness. You have got to think for yourself. As Krishnamurti pointed out, you must discover for yourself the truth or falseness that lies in the process of dreaming. This discovery is far more important than having someone else interpret your dream for you. Not only that, when you look outside of yourself to have someone tell you "what does my dream mean," you then depend on an “authority” for your answers. The problem is, to blindly follow those in authority, like a stampeded herd of buffalo, is to risk going off a steep cliff when they do. Dreaming is only one part of our consciousness. If we want to understand our lives, we must be aware of all parts of ourselves. Perhaps we dream because our minds are fragmented, both the conscious and the unconscious. So we need to wake up. To look around without judging and interpreting. For instance, when was the last time you stopped what you were doing and just marveled at the beauty of a flower? To let the color or smell of it enter your eyes or nose without thinking. Notice that in this moment, it was not necessary for you to interpret the meaning of the flower. Try it and see. It’s a wonderful exercise to simply look without searching for meaning. I also think it’s a wonderful exercise to keep a journal of dreams. I recommend it and so do dream researchers. Whether a dream is fun or a nightmare, it can sometimes be a learning experience to explore and ask yourself, what does my dream mean? Just be careful making decisions in your life based on what other people claim to know about your dreams and their meanings. The key is to be alert. Listen. Observe. We live in a busy world. We are surrounded by pressures and turmoil. That’s all the more reason to turn off all the gadgets from time to time: the television, the computer, the dumbphones, the texting, and all the other noise. Sit quietly, listen, and observe. No judging. No comparing. No analyzing. It is in these times where we begin to learn about ourselves. It’s where we can see more clearly what life is. It’s a time when we can begin to bridge the gap in our consciousness between our waking life and our dream life. We may even discover a fresh, new, silent place. And then it’s not a matter of “what does my dream mean,” but rather, your mind is so whole, alive, and aware, that dreams become unnecessary. If you’ve been dreaming of a luxurious mattress at an affordable price, here it is. American-made luxury…at a dreamy price. To see how thousands of people have made their bedrooms a haven of comfort, click here. What do dreams mean? Here I share with you one of my dreams. A maverick CEO and top sleep doctor will show you what is the best mattress for you. Plus, click here to see what mattress stores don't want you to know. Knowing how to fall asleep can have a dramatic impact on your health, finances, and mood. So before you reach for sleep medications, check out these part 2 tips to fall asleep first. 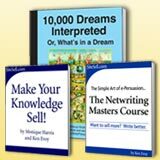 Get these 3 FREE e-books valued at over $89 for subscribing to my free Sleep Chat newsletter. I understand you will use my information to send me your newsletter. I may unsubscribe at anytime by clicking the unsubscribe link at the bottom of any email. Please note: Sleep Passport never sells, trades, rents, or shares your email address with anyone. Not at anytime, not for any reason. © Copyright 2009-2019 by SleepPassport.com. All rights reserved.